MyU Preview is a series giving a peek into pages within the new MyU. Keep in mind that MyU content is still in development and some things will be updated between now and Go Live. If you teach, after the Upgrade goes live, class permissions, grade rosters, class lists, and Moodle will be available in real time. 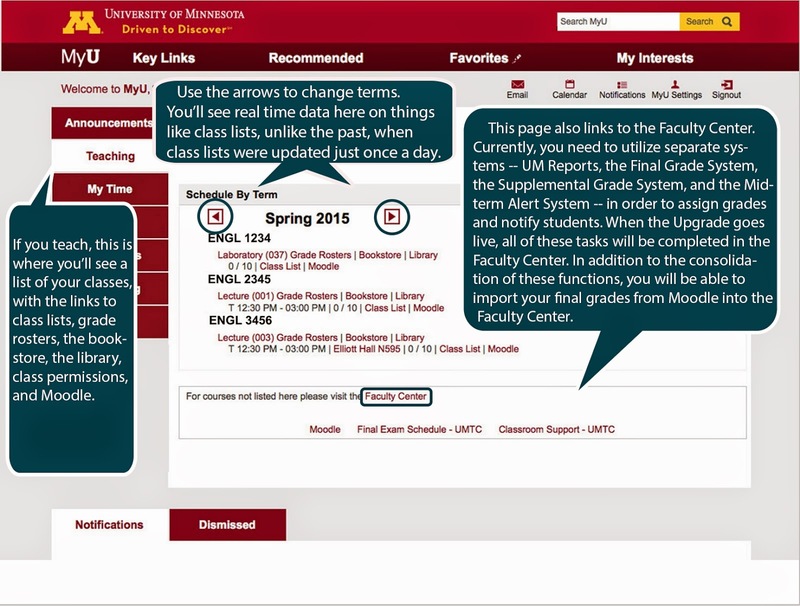 The Faculty Center combines separate systems -- Final Grade System, Supplemental Grade System, and Midterm Alert System - for ease of operation, as well as the ability to import from Moodle. Click image to enlarge.